LocalWiki is a new way to share local knowledge in Bromsgrove. Create your own page about anything you like in our area. We have combined the best features of Wiki's, forums and blogs into a community generated mine of local information dedicated to everything in and around Bromsgrove. Making it easy for people to share local information, knowledge and experiences. You'll find it to be your best guide to businesses, services, entertainment, events, pubs, restaurants, community information and just about anything else you can think of in Bromsgrove and best of all it's free! 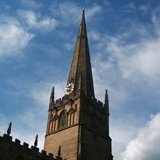 It's free to add full and comprehensive details of your business or service in Bromsgrove. Simply create your own page and update it as often as you like. 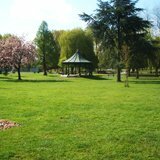 Local Knowledge - LocalWiki Bromsgrove is a community website, users can create pages on any subject of interest related to Bromsgrove and surrounding areas free. Rate, review and add your comments to existing content. Did we mention it's all free! If you're unsure on which page on this site to enter your details then please make your submission on this page and we'll find the best place for it to appear. We can even create a whole new section of the site for you! Discover Bromsgrove Restaurants, Our area has a wide range to from Traditional English to Indian, Chinese, Italian and many more. Rate and review your favourites. English Takeaways in Bromsgrove. Fancy Fish and Chips anyone? Comment on which takeaway you think is Bromsgrove's finest. Please contact us with any information you would like to see featured on LocalWiki Bromsgrove. Where did the idea for LocalWiki come from. All about the concept of LocalWiki Bromsgrove and how we hope to create a local knowledge base. Ask a question relating to Bromsgrove and allow one or more of the visitors to LocalWiki Bromsgrove to answer it for you. Reputable Estate Agents Bromsgrove. Your guide to making the right local choice. Your guide to Gardening Bromsgrove. Research Garden Services and Landscaping companies.